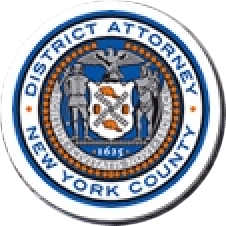 Manhattan District Attorney Cyrus R. Vance, Jr., today announced the guilty plea of BRIAN KEENAN, 60, a former financial advisor, for stealing more than $1.6 million from the beneficiaries of three separate trusts that he managed. The defendant pleaded guilty in New York State Supreme Court to the top charge in the indictment against him, Grand Larceny in the First Degree. He is expected to be sentenced on December 21, 2016. As admitted in the defendant’s guilty plea, between approximately May 2007 and August 2012, KEENAN was employed as a financial advisor by Train Babcock Advisors, an investment advisory firm based in Midtown Manhattan. One of his responsibilities in this role was to serve as a trustee, making him responsible for managing trusts and acting in the best interests of the beneficiaries. During this time period, KEENAN stole more than $1.6 million from the beneficiaries of three separate trusts belonging to members of the same family. While in this role, KEENAN opened a joint checking account in his name and the name of one of the beneficiaries of the trusts that he was responsible for managing. The beneficiaries had no access to this account. KEENAN proceeded to have more than 40 checks, totaling more than $1.6 million, issued from the three trust accounts and payable to the joint account that he controlled. The defendant then withdrew the funds as cash or transferred the money to his personal account. KEENAN spent the stolen money on personal expenses, including credit card payments. Assistant District Attorneys Natallia Krauchuk; Vimi Bhatia, Senior Investigative Counsel; and former Senior Investigative Counsel Harold Wilson handled the prosecution of this case, under the supervision of Assistant District Attorney Julieta V. Lozano, Deputy Chief of the Major Economic Crimes Bureau; Assistant District Attorney Christopher Conroy, Chief of the Major Economic Crimes Bureau; and Executive Assistant District Attorney Michael Sachs, Chief of the Investigation Division. Principal Financial Investigator Angelo Dellicarpini of the Forensic Accounting and Financial Investigations (“FAFI”) Bureau provided assistance, under the supervision of Irene Serrapica, Deputy Bureau Chief of FAFI, and Robert Demarest, Bureau Chief of FAFI. Paralegal Anne Clark, former Investigative Analyst Kate Fisch, former Paralegal David Finger, Investigator William Burmeister, Deputy Chief Investigator Jonathan Reid, and Walter Alexander, Chief of the Investigation Bureau also provided assistance. District Attorney Vance thanked the U.S. Securities and Exchange Commission for their assistance with the investigation.